Every woman dreams to preserve youth and beauty as long as possible, and modern cosmetology does not allow it to lie down under the noses of the surgeon. Phenolic peel - an effective solution for those who have decided to seriously fight aging and other skin defects. A large number of patients, evaluating the results before and after the procedure, compare them with the effect of plastic surgery. The basis of cosmetic substance is strongly diluted carbolic acid (phenol). The substance was used to treat hand doctors until they noticed that the chemical has a pronounced keratolytic effect, which consists in the destruction of keratin, collagen and elastin. Violation of the integrity of obsolete structures leads to the active synthesis of cells by new protein tissues that support the elasticity and elasticity of the skin. Contribute to the restoration of human youth and the injection of hyaluronic acid, but, unlike carbolic peeling, the beauty of the hair should be regularly, which increases the cost of rejuvenation. eliminating acne caused by demodecosis or acne. To deal with problems of varying severity, surface, middle and deep peeling may be performed. The deeper the penetration of carbolic acid, the higher its concentration in the peeling mixture. The price of the procedure also varies depending on the depth of influence and the area of ​​application. For chemical peeling, you must first to have a test by checking the condition of the heart, kidneys and liver. Caution is associated with high toxicity of carbolic acid. To renew the skin of the back, stomach, and the removal of postpartum stretch marks from these areas, you must further check the condition of the internal organs located in the treatment area. At least half a year, it is necessary to stop the intake of aromatic retinoids, which enhance penetration of the outer covering tissues for phenol, which leads to increased destructive effects. At the same time, discontinue laser therapy, dermabrasion and other median varieties of peeling. During 2- or 3 months before rejuvenation, long-term exposure to sunlight should be avoided, refusal to visit the solarium and other places where the body is exposed to ultraviolet light. To add even shade to the updated skin, it is recommended 5-8 weeks before the date of the procedure to start bleaching the skin with special tools. In 10 days, you should refuse to carry out shaving, hair removal, mechanical cleaning. Within two to three weeks before the procedure, an antioxidant and angioprotective drug, selected by a qualified specialist, is taken. One week before the manipulation should begin the use of anti-herpetic drugs. It is also necessary to prevent a physician-cosmetologist of taking any medicinal products and known allergic reactions to the patient. Pre-cleaning the required area of ​​the skin with a rigid sponge moistened in a soap solution. Treatment of dried surface with antiseptic. Local or general anesthesia. Deep intervention is carried out only in the presence of an anesthetist. A sequential slow application of the solution. When treating the skin in a given sequence with a five-minute pause, the mixture covers the forehead, cheek area, the area around the mouth and periorbital area. The application of the solution to the area of ​​the nose and chin is carried out in the last resort. A mixture for deep interference is applied with dots, in places of severe skin damage. After drying the solution, a special film mask is applied to the treated areas for two days. During this time it is prohibited to contact with water and irradiate with ultraviolet light, it is recommended to carry out a minimum number of mimic movements. After this period, the mask is removed along with the layered epithelium. The cleansed areas of the skin are treated with antiseptic and protective, moisturizing agent. Treatment of the back and abdomen from pigment spots, stretch marks, scars from acne is carried out using the same algorithm. The procedure can be quite painful, but it's a small price for a long-lasting effect of rejuvenation, eliminating acne and hated pigment spots. with very dark or very tanned skin. prolonged redness (erythema) of the outer skin. Conducting of phenolic peeling is accompanied by a long period of rehabilitation. Immediately after removing the neutralizing phenol of the mask, the patient is not allowed to wash. The doctor prescribes the administration of anesthetics, as well as treatment of the affected surface with panthenol. Harvest takes about 2 weeks, during which it is not recommended to appear on the street. Redness of varying degrees of severity can be maintained for 60-120 days. The full effect of rejuvenation and tightening can be seen in 6-12 months. At this time, the patient should whiten the skin with special agents, avoid any forms of sunburn, use strong sunblock and moisturizing creams, take antioxidants and vitamin complexes. elimination of wrinkles, increase elasticity and elasticity of the skin. The peculiarity of the cosmetic procedure is the one-time need to conduct and the duration of preservation of the result to 10 years. A similar effect can boast of lipophilia after several procedures and complete shrinkage of adipose tissue. How much does phenolic peel cost? The cost of manipulation depends on the depth, field of action, qualifications of specialists. 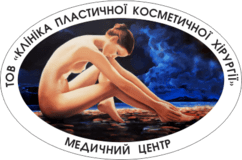 You can find out the exact price of the service at the "Clinic of Plastic Cosmetic Surgery" Ltd., located in Poltava, in the special section of the site or by consulting by telephone. Compared with other techniques of rejuvenation, peeling with phenol, is a very inexpensive procedure that will allow you to return your blossoming look and confidence for a long time.